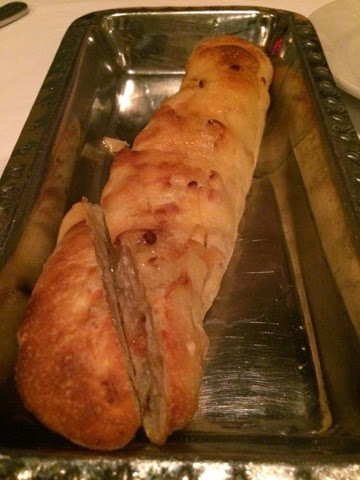 Every meal begins with their mouth-watering garlic bread. 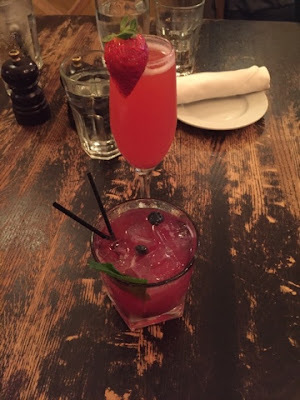 When I first started Eat Up New England two years ago, I wasn't so sure about blogging about Grappa. 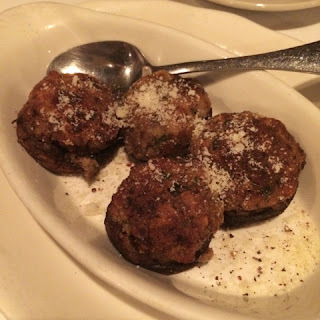 It's a tiny Italian spot tucked in on a side street near Target in Watertown, Massachusetts. Everyone eats in one room and the food is off the charts delicious. I felt this little restaurant was a hidden gem and didn't want to give away one of the best kept secrets around. Well, it's time for everyone to enjoy this Eat Up New England Favorite. Every meal at Grappa starts with a tray of their garlic bread. It's soooo good and yes, they will bring you seconds. Apps include rolled eggplant, salads and bruschetta. My favorite is their baked stuffed mushrooms. They are overflowing with breadcrumbs and sprinkled with just enough cheese. They are also vegetarian. 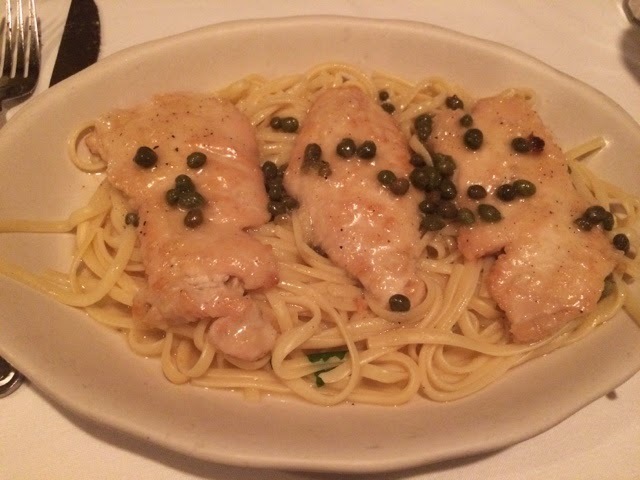 You can find all of your Italian favorites on their dinner menu. My favorites include the fettucine bolognese, spaghetti carbonara, chicken piccata (pictured above) and shrimp scampi. Also on the menu, a catch of the day, several other chicken and veal options, spinach & ricotta ravioli and linguine with clams. 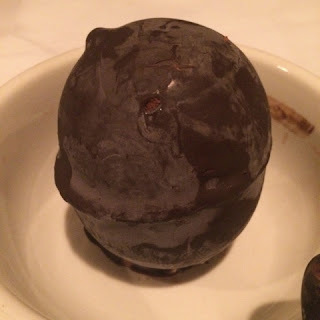 Save room for dessert and order their chocolate bomba. It's a ball chocolate and vanilla ice cream covered in chocolate. There are also almonds inside and a cherry in the center. Grappa is open for DINNER only. Make reservations if you go on the weekend. They are closed on Sundays and Mondays. I discovered Grappa on Groupon and have been hooked ever since. They still put up deals on Groupon every now and then.